This stylish and practical belt provides hands free control and safety for both the trainer and the dog. 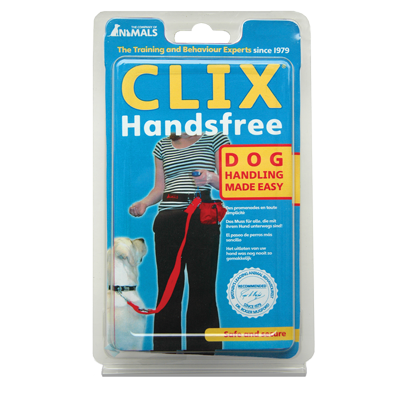 The CLIX Hands Free comes in two sizes, small and large. The sizes relate to the size of the dog handlers waist in the same way that a regular belt would.